The Division 2 beta starts today and runs through Sunday, February 10, and considering that it is a beta, you can bet there are going to be some technical hitches to work out. In fact, you can bet with total certainty, because Ubisoft recently outlined a few known issues with The Division 2 beta and, helpfully, how to avoid them. The studio also affirmed that "these are high priority issues for us that will be fixed, but are present in the beta." Both of these issues can cause Division 2 beta crashing, so they're pretty important. The first is pretty simple: "your game client will crash after an extended gameplay session." To avoid this, Ubisoft recommends restarting the beta client "every two to three hours." So, you know, set a timer and maybe use the intermittent breaks to refill your drink or something. Make a sandwich, let the dog out, I don't know, blink. Playing The Division 2 campaign and endgame feels like it could fill a Destiny shaped hole in my life. The other known crash is arguably even easier to avoid: "on all platforms, if you are outside the game and receive a game invite from a friend within the game, your client will crash at launch." To dodge this one, just load into the game before squadding up. To be extra safe, maybe hold off on inviting a friend until you know that friend is in the game. Ubisoft says a more complete list of known The Division 2 beta crashing issues will be shared and updated on the game's forums; these are just the big ones to look out for going in. 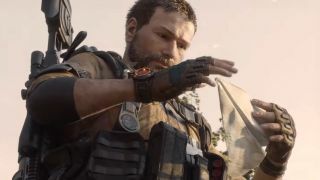 And again, Ubisoft says these and other issues will be fixed ahead of The Division 2's release on March 15. Mainly out of curiosity, I've reached out to Ubisoft for more details on how the beta build compares to the final build, so I'll update this story if I hear anything. If you're looking for some help with how to get started with the beta, why not check out our The Division 2 tips?